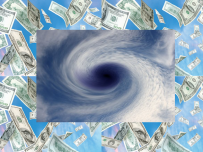 The price of global warming: How much hurricanes cost us? I've choosen the group #3 because I am curious to see if there is a correlation between industrialization/progress/higher level of pollution as it happened to be the case in the last decades and the increasing costs in terms of demages occured because of hurricanes. Looking at the data set it seems that the demages in $ millions (unadjusted and adjusted, but not normalized, which I haven't considered) were higher in the last 10 years and so, while the number of deaths was higher in the past. I am still figuring out how to sort and group data and what story exactly tell, but it's amazing making some time to work creatively on this project!